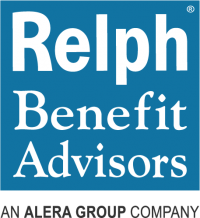 Relph Benefit Advisors (RBA) is an Alera Group Company, a privately held employee benefits, risk and wealth-management company with offices nationwide making it one of the nations top privately held employee benefits firms. At RBA, we have everything you need for complete benefits relief: A strategic plan, employee education, online enrollment, legal compliance, wellness plan coordination, a custom-built benefit administration portal, and Section 125 Administration. There are 47 members of the RBA team licensed to transact insurance contracts, including each member of our employee support team. Relph Benefit Advisors provides relief to more than 200 NYS-based Clients, with special expertise in Not-for-Profits, Hospitals, Municipalities, Manufacturing, and Education. Our Clients have employees based in 47 states and internationally. 30+ years of employee benefits experience, with a proven track-record of reducing claims spend. Manages the complexities of healthcare reform while providing innovative strategies to control cost.